A few weeks ago I went home to Canada for my brother’s wedding (yay!). 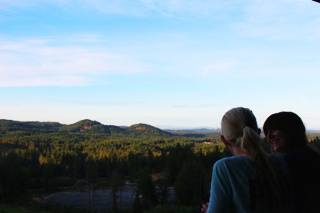 It was the first time I’d been home for the summer in years and it was amazing. The weather in Vancouver/Vancouver Island during June can be pretty variable, but I totally lucked out! As usual on a trip home, I tried to fit in as many of my favourite activities as possible. I was only there for two weeks (and had a lot of wedding-related activities to participate in and the wedding itself, of course), but I think I did pretty good! 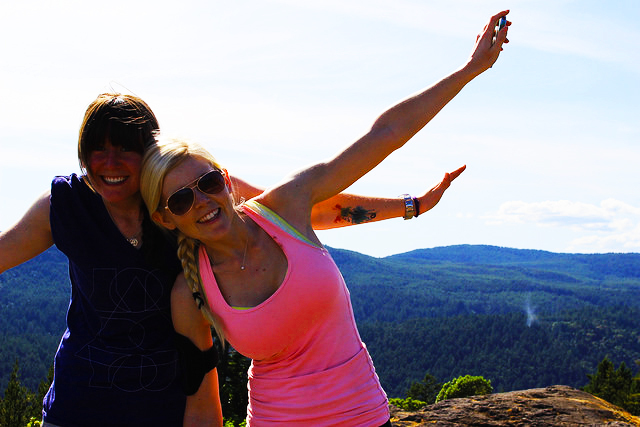 One of my favourite summer hikes on Vancouver Island is Mt. Finlayson. It’s hard to do in the winter (which is when I’m normally able to visit home) because of the steep/slippery rock scaling required to reach the top. So I made sure this hike was a non-negotiable on my to-do list! We went with my best friend Meredith and our friends Mike and Janine (and Janine’s adorable dog, Maggie!). 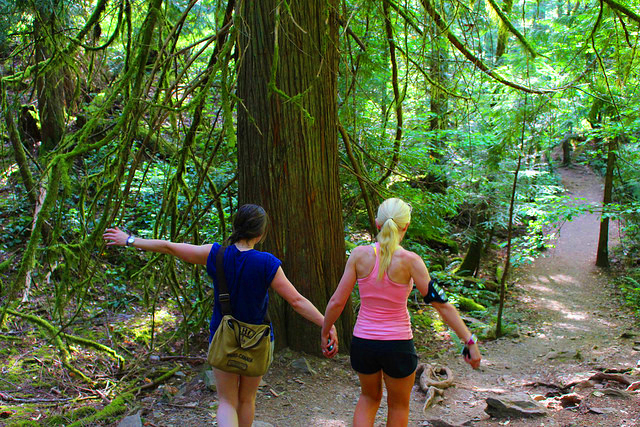 As it usually does, the hike turned into an excellent BFF bonding experience! 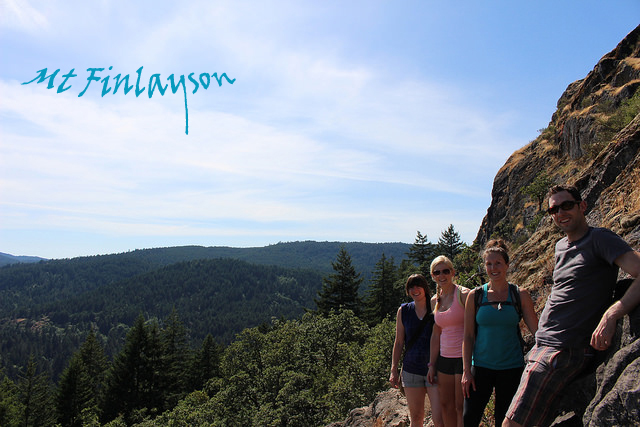 While I would normally opt for a run over a walk, I love a long, steep, nature-filled hike with friends. It’s also nice to feel like I’m giving my knee a break from pounding the pavement, but still being able to be outside and feel the benefits of exercise. 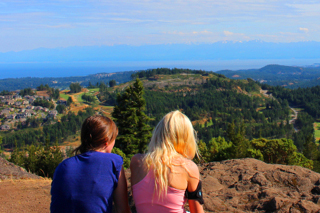 And it doesn’t hurt that Vancouver Island is one of the most beautiful places in the world to do that!